A collaboration between installation and sound artist Nick Wishart (Toydeath) and video/installation artist FMGrande, this workshop will explore the juncture between objects, sound and visual representations of how humans interact with objects in a given space. It will provide a hands on approach to media art and utilise modified objects, soundscapes and projections, spatio-temporal anomalies, spatial distortion and the persistence of vision, to convert a space into an interactive milieu of triggered sounds, live feedback video loops and interactive experiences. The workshop will be prefaced by a short seminar and discussion on the history of interactive media art. Examples of the artists’ works will be shown, to be further discussed in relation to participants’ own works during the workshop. Participants will be guided through the process of conceptualising, planning, developing, making, and deploying/installing collaborative works of electronic media based art. Participants will be introduced to a range of technologies and ways of working with them; which they will be able to apply to their own practice. Nicholas Wishart works in music composition, sound, electronics, installation and multimedia. He has worked with numerous theatre companies since 1990, and has also been commissioned to write soundtracks for architectural mapping projects in Sydney, Melbourne and Brisbane. In addition to Nick’s composition work he creates unique electronic instruments using circuit bending techniques and is a founding member of the all toy band Toydeath. Another major work Nick has helped create is CeLL, an automatic music machine encased in a 20ft shipping container. CeLL is an ongoing collaboration between artist/engineer Miles van Dorrsen using sequencing software and has performed at Prague Biennale, Adelaide Festival, Canberra International Music Festival, and is currently based in Berlin. Sydney based hybrid media artist FMGrande was born in Santiago, Chile. He is a PhD candidate at COFA where he is researching the relationship between media arts, spatial dynamics and experimental ethnography. His work has been screened at Federation Square in Melbourne, the Sydney Fringe Festival, Diffuse at UTS and in artist run spaces in Sydney. 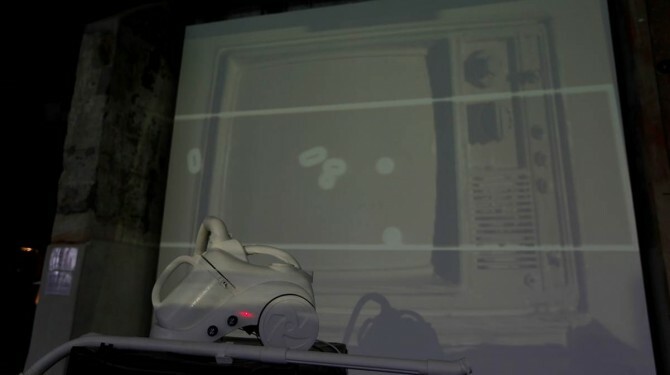 His collaborative work titled Spatio-temporal Anomalies… (Underbelly Arts Festival, Sydney, 2011) involved four large screen projections and found/modified objects which responded to audience movement and sound, utilising sensor technology, WIFI and OSC/MIDI signals. FMGrande’s recent work and collaborations include a series titled sculptural experiments, which question our perception of everyday objects.